Urban interventions in Luxembourg City by VJ Suave (BR) in the frame of ROTONDES’ OPENING Weekend in June 2015.Ygor Marotta and Ceci Soloaga are a new media art duo, based in São Paulo, Brazil, who have been working together since 2009. 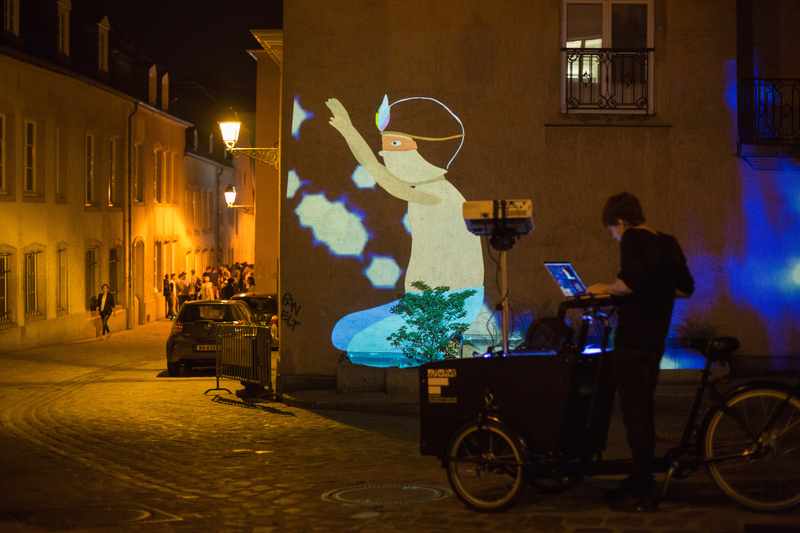 The “Suaveciclos” allow them to take their projections to the streets and to communicate with people through drawings, digital animations and poetry. Thanks to everyone who participated in the different rides and workshops in Luxembourg!